Hey dolls! Maria from Cult Nails has recently been posting images of the upcoming collection, which reminded me that I had only worn one shade (Riot) from the Road Trip, Anyone? collection. Today I have photos for you of Party Time and Mayhem. 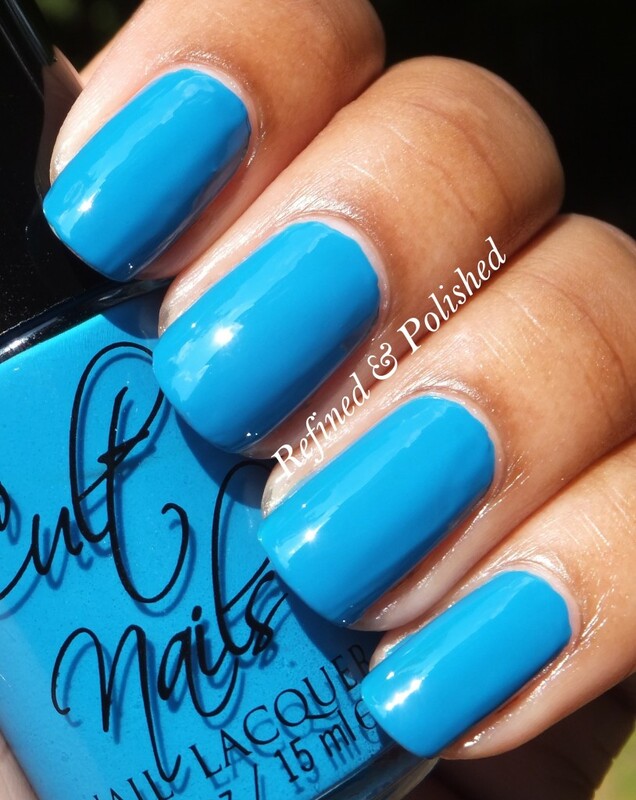 Party Time is described as an intensely pigmented pure blue creme with a hint of green. The formula was really great! It was super easy to apply and was almost opaque in one coat. I used two below for photo purposes. Party Time is such a gorgeous blue! Since I had full sun cooperation, I decided to do a little nail art using Mayhem, a linear holo top coat. Mayhem had a wonderful formula as well. 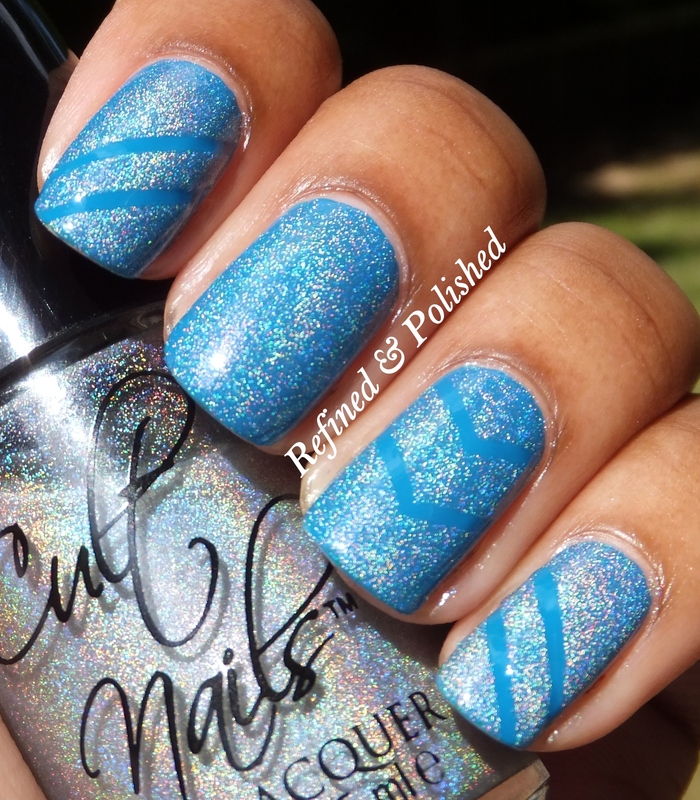 I’ve tried several holo top coats and this is one of the best. I like that Mayhem is thin enough to where it doesn’t drastically change the color of the base and it does not leave a super silvery holo effect. 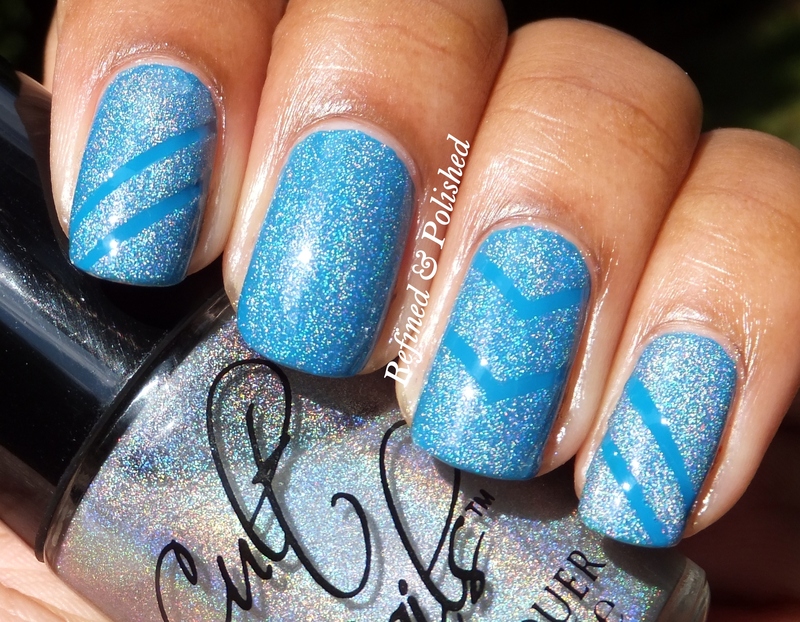 I applied one coat of Mayhem over Party Time to create a little nail art using striping tape.